Chhattisgarh encounter: Bodies of Naxals flown to hospital; identification underway - Integration Through Media ....! HYDERABAD: The bodies of eight Maoists, who were among the 10 ultras killed in an encounter in Chhattisgarh's Bijapur district, were flown to a Telangana hospital and their identification was likely to be completed today, an official said. The Greyhounds, an anti-Naxal force, had yesterday swooped on the camp of Maoists near Pujari Kanker in Bijapur district, as part of a joint operation with the Chhattisgarh Police. 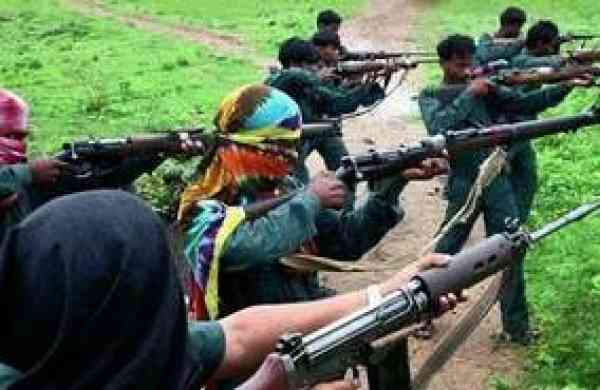 Ten Maoists, including six women, were killed in the early morning operation in which a personnel of the elite force also lost his life. “Bodies of two Naxals and the junior commando of Greyhounds were airlifted yesterday. Due to the inaccessibility of the location, the rest of the bodies were flown in a chopper this morning to the hospital,” Superintendent of Police of Telangana's Bhadradri Kothagudem district Ambar Kishor Jha told PTI. “We have received all the ten bodies from the encounter site. Post mortem will be conducted today.We will follow all the Supreme Court directions related to encounter cases,” he said. According to the SP, the post-mortem examination will be conducted at the Bhadrachalam Area Hospital. The identification process is also underway. “By (this) afternoon we hope to complete the process and get a clear picture,” the SP said. Security forces from Telangana and Chhattisgarh had launched the counter-insurgency operation in the forest on the inter-state border based on inputs about a gathering of a large group of ultras, officials had said. “Susheel Kumar, a junior commando of the Greyhounds, lost his life,” officials had said. Six women were among the ultras killed in the operation which took place around 6.30 AM, the SP said. The Chhattisgarh Police had identified two of the dead Naxals as Sanjeev, a “deputy commander”, and a woman named Pedda Budri. Both were part of the protection team of Hari Bhushan, secretary of the Maoists' Telangana state committee, Deputy Inspector General of Police, South Bastar range, Sundarraj P had said. An AK-47 among others was been recovered from the encounter site indicating the presence of of a top leader of the outfit at the site where encounter took place, a senior police official had said.